The Maori New Year celebration is called Matariki, and falls (roughly) in early June. It is marked by the first rising of Pleiades during the southern hemisphere's winter. 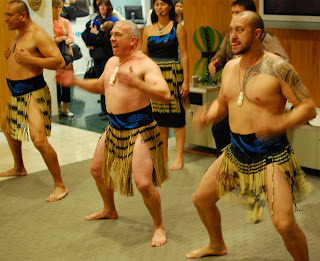 These haka performers provided a vigorous form of ambiance in the LAX Koru Club.